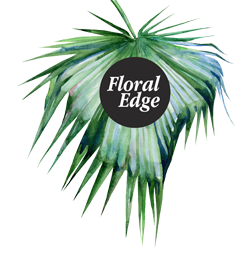 Floral Edge is a boutique florist that specialises in wedding flowers, events, corporate flowers and as an every day florist and gift store. We are the only florist shop front in Port Douglas. Our passion, attention to detail, love and dedication is why our business has flourished in the beautiful spot of Port Douglas. With so many destination weddings coming into Port Douglas we are a very sort after wedding florist. The brides we work with are, at times, booking a year in advance to secure their date! We do up to 200 weddings per year, with our wedding season being mainly May through to November. We deliver fresh arrangements of corporate flowers on a weekly or fortnightly rotation in Port Douglas and surrounding areas. If you’re looking for flowers to spice up your work environment or corporate event then we can help. We also offer a number of hampers that can be arranged as per your requirements. We also have an online flower shop for customers that want to buy flowers online and have them delivered for a special day. If you’re buying from afar or you’re in Port Douglas, and surrounding areas, our store makes it easy to buy anywhere, anytime. We offer flowers, hampers and a range of add ons to make a special event all the more memorable.